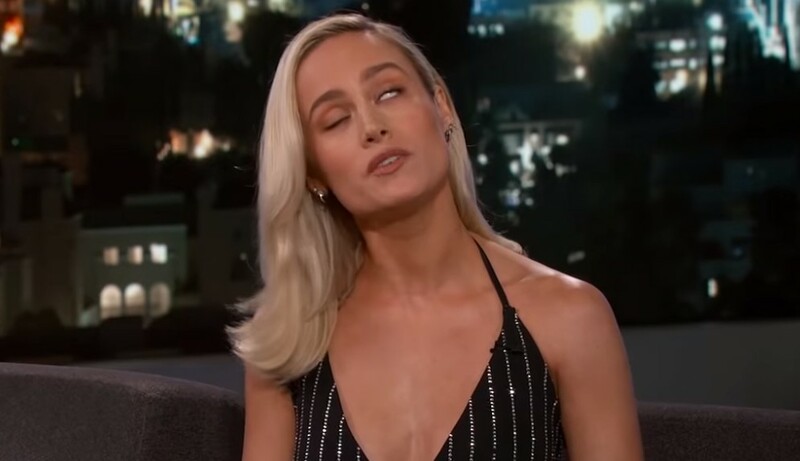 YouTuber and artist "That Star Wars Girl" happens to be not a big fan of Brie Larson as she absolutely destroys the Captain Marvel actress in regards to her recent appearance on Jimmy Kimmel which saw Larson offer she hates some of her fellow cast members. That Star Wars Girl posted a video (watch below) on Thursday that has gone viral with nearly 200k views which sees the YouTuber blast Brie Larson for being arrogant, and she offers that women like Brie Larson have been responsible for "a majority of the hurtful things that have happened to me in my life." "Look at that face. Look at that smug cake...," That Star Wars Girl says. "Be f-cking humble. What an arrogant... Do I need to even finish the sentence? Uh. Yeah. She's not even grateful. She's acting like she's so much better. Look at the way she's looking at her nose down at him." 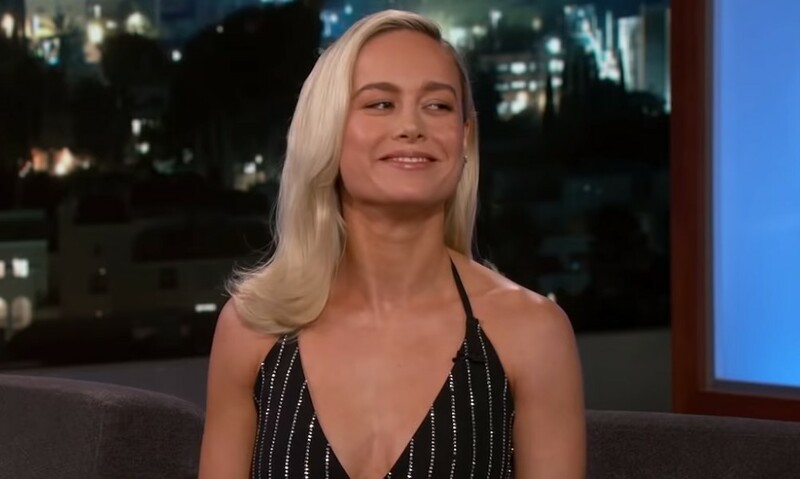 The interview sees Jimmy Kimmel ask Brie Larson if she ever considered wearing the Captain Marvel costume to the premiere which sees Larson respond, "Have you considered maybe you should wear the costume?" "Do you ever consider you are doing this for the kids? Maybe, 'I'll wear the costume to this premiere.' Look at her face. Look at that reaction," she says. "He's not Captain Marvel! You want to say that this movie is for kids! You want to go on The Ellen Show saying that you want to do these GoFundMe's for the kids! Guess freaking what?! When Johnny Depp plays Captain Jack Sparrow, what does he do? He keeps the costume, he goes to children's hospital to see them." That Star Wars Girl continues, "He'll go to Disneyland so that we fans can feel the magic of the character because he is Captain Jack Sparrow. He is Johnny Depp. He plays that character. When you see him in the costume, that is the only time you will get to see the real Captain Jack Sparrow. So you are doing this 'for the kids,' this is for the little girls to have someone to look up to, and you won't wear the costume. You are going to be sarcastic and 'maybe you considered wearing the costume.' He's not f'n Captain Marvel! You are! You are saying you are going to do this for the kids, but you can't put on the costume to go to a movie premiere!" "'...And then I am going to go on a talk show and talk sh-t about other actors and other people that I've worked with!' No! That's not the message! You want children to look up to this woman?" That Star Wars Girl says. "I'm a full grown woman and I don't look up to this woman! This is insulting! These are the type... This is the reason why I am such a hermit. Because I've been around girls like this. You can say whatever you want about how there is bad people in the world, but a majority of the hurtful things that have happened to me in my life have come from women. And women like this. It's sad because there are so many great women in the world, too. I don't want to get represented by this."